Here we have a view of two other faux granite formations that provide an access point into the sitting area. 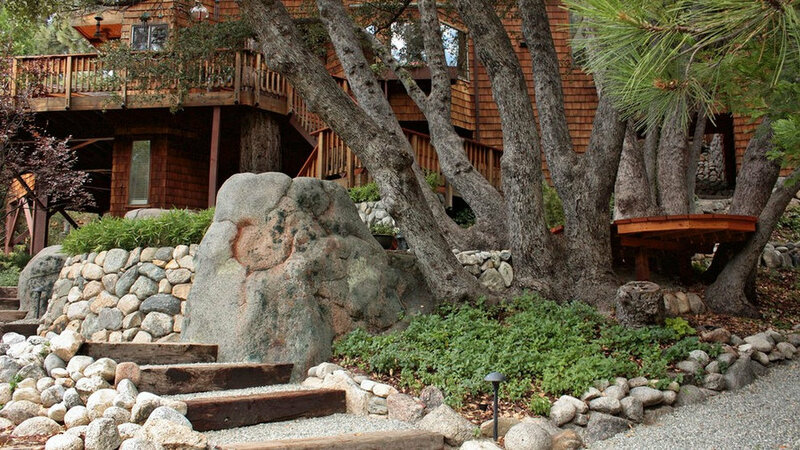 To the right is a dry stacked retaining wall made of natural rock. Above the retaining wall is a bamboo called Dwarf Whitestripe. It is very pretty and only grows about as tall as you see it here. This view shows the magnificent grandmother oak tree which is so central to this part of the landscape. 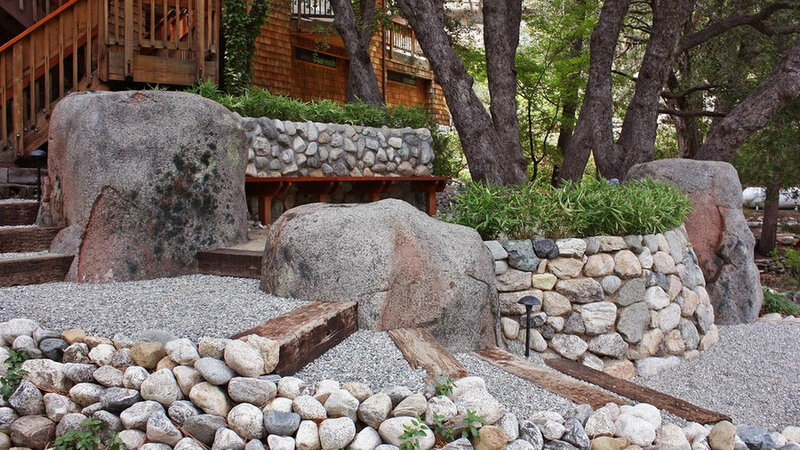 Here is a view of the back of the faux rock spring extending down into the lower area as a retaining wall. This view shows the entry to the sitting area. 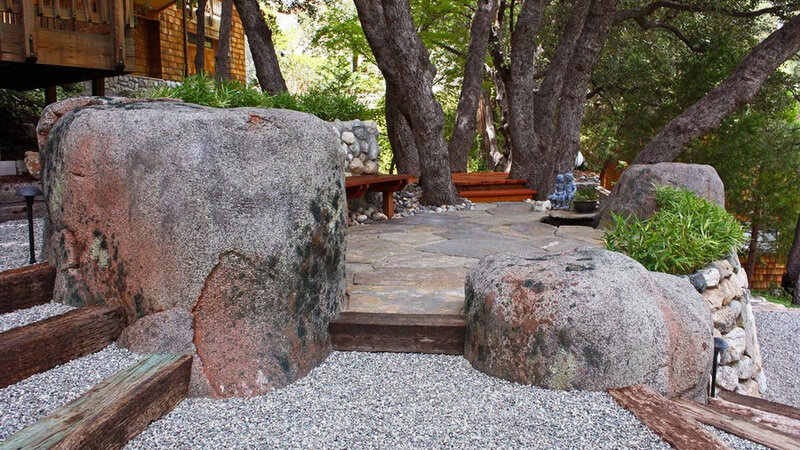 The stone surface is made of Red Mountain Flagstone and leads to a private deck nestled within the grandmother oak. Here is a view of the granite spring made of concrete and acrylics. 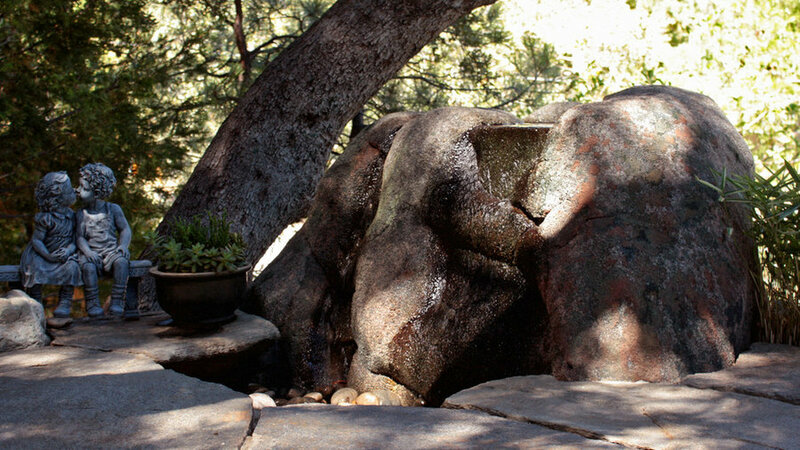 This is the front side of the faux boulder seen in the first view of the Fountain Garden. 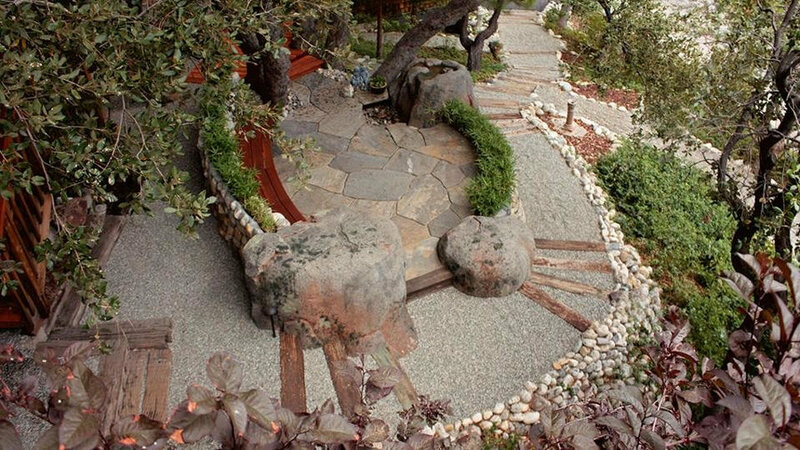 Faux granite is an option where the projects require large boulders that would be almost impossible to choose, import, and place in a landscape. This is a unique deck. It is very nestled into this grandmother oak and yet it does not actually touch the oak or its roots anywhere. This deck provided the client with an outdoor business area that could accommodate a single chair. There are also three access points onto this deck. The roots were excavated by hand to discover where footings could be placed so that the tree would continue to thrive. After the excavation the soil was replace with road base to provide a more solid place to install concrete footings. 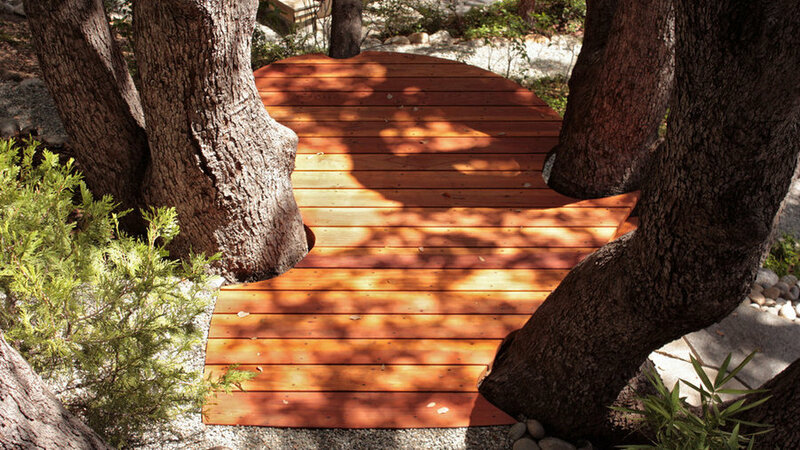 The framing is far enough away from the trunks that the deck can be reshaped as the tree continues to grow. Here is a view of the sitting area as seen from the upper deck. This project transformed the area from a mishmash of old bricks and overgrowth to a stunning and functional space.